October….my favorite month of the year! Halloween of course. It’s when my love of all things creepy, spooky and haunting can be fully showcased. And because there’s pumpkin spice everything LOL. But that is simply frosting on the cupcake that is spooktacular October. 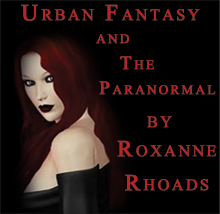 I also love the influx of new paranormal reads. I read paranormals all year long, so in that aspect it is always Halloween for me, but in October something new and creeptastic always becomes available. New releases in popular series this month include: Undead and Unforgiven (Undead 14) by MaryJanice Davidson, The Devious Dr. Jekyll: An Electric Empire Novel by Viola Carr, Wicked Ever After (A Blud Novel Book 7) by Delilah S. Dawson, The Single Undead Moms Club (Half-Moon Hollow Series) by Molly Harper, and The Chess Queen Enigma: A Stoker & Holmes Novel by Colleen Gleason. Book 2 in Laura Bickle’s Dark Alchemy Series, Mercury Retrograde, is touring with Bewitching Book Tours this month. Be sure to follow the tour for guest blogs, interviews, reviews and giveaways. Poe is always a classic go-to for Halloween so I’m excited to see these two new collections that showcase his work and offer new tales inspired by his work. I love haunting reads that stick with you, tales of love and loss and hauntings that never end. Happy Reading! I hope you find something that truly haunts your heart this Halloween season.